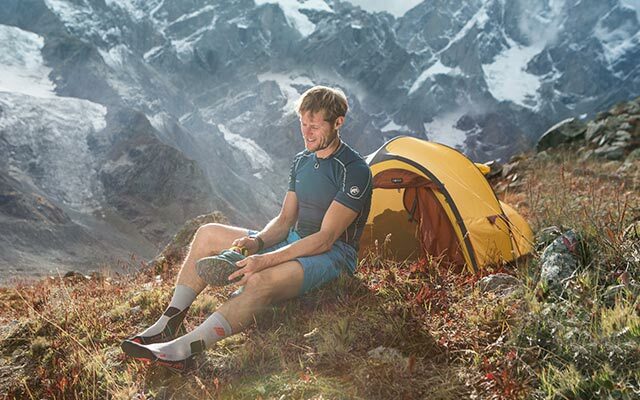 Put on your socks and enjoy the outdoors – no distance is too far with the Outdoor Light Merino Mid Cut Socks. They have a comfortable, stay-put fit and feature a functional blend of merino and synthetic fibers to keep your feet cool and dry even on hot days. Padding in the anatomically shaped foot section also provides protection against blisters. The special medi compression technology guarantees accurate footwork, stability and enhanced coordination in any terrain. These super comfortable lightweight Mid Cut length socks are for everyone – not just for merino fans.